…i just had the wonderful honour, 2 days ago, to be nominated for the YMCA Peace Medal Award….i owe that to ALL of you who have supported my kindness related events & others who have touched my life in so many other ways! 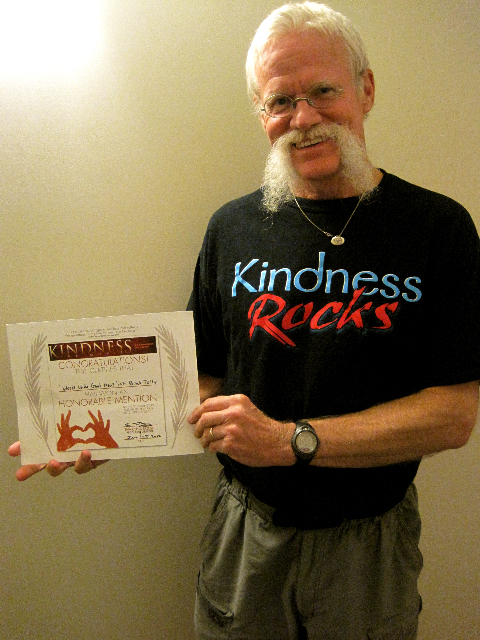 This is a great article about the First Kindness Award given by the Kindness Foundation. The first was given to me, but there are so many others who will receive this award in the future it makes me proud to start something wonderful.